Gram Parsons’ few months as a Byrd and the 1968 album Sweetheart of the Rodeo double as a pre-flight preview of The Flying Burrito Brothers, a second project with country-rock forefather Chris Hillman. Formed after both left the Byrds at different times over an ill-advised tour of South Africa, their new band blended both men’s fascination with country music with Parson’s fixation on another Southern export, soul. Although numerous lineup changes and Parson’s deadly vices stifled the band’s long-term growth, the Brothers made an indelible mark on outsider country music and psychedelic rock with its Feb. 1969 debut, Gilded Palace of Sin. To maintain the country authenticity captured on Sweetheart of the Rodeo, the band recruited “Sneaky Pete” Kleinow to play pedal steel. A motion picture special effects artist with credits ranging from Gumby to The Empire Strikes Back, Kleinow took pedal steel to bold, new places via a fuzz pedal. For instance, that’s Kleinow recreating the sound of a revving engine on the band’s musical ode to biker culture, “Wheels”—an effect emblematic of the group’s willingness to take its country and soul influences down daring paths. 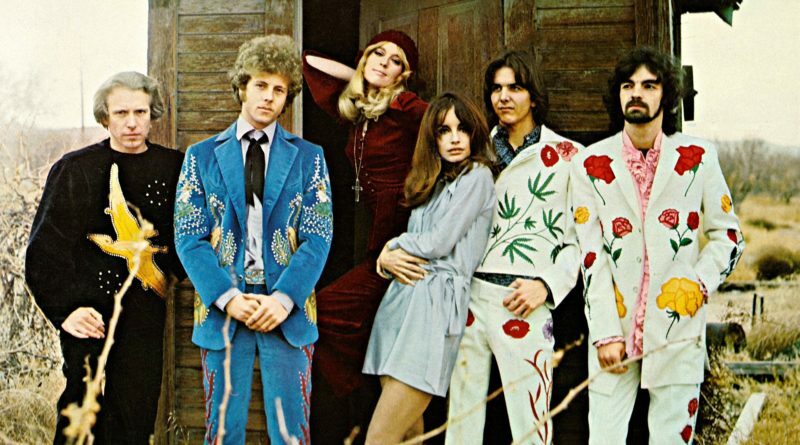 Although most things labeled country-rock tend to sound apolitical compared to ‘60s folk and ‘70s funk, the Flying Burrito Brothers drop some less than subtle references to a society recovering from the turbulent year of 1968. “Sin City” doubles as a lament of Hillman’s years with the Byrds and a commentary on the assassination of disenfranchised youths’ greatest hope, Robert F. Kennedy. “Hippie Boy” more blatantly memorializes a murder victim slain in the 1968 Democratic National Convention riot in Chicago. More candidly, the socio-political lens points back to Parsons on “My Uncle,” inspired by his draft notice. The before-mentioned topical songs were as close to the spirit of early country music as the twangy album cuts “Juanita” and “Do You Know How It Feels,” simply because they find the band doing the most hillbilly thing imaginable—writing about what they’d lived. Parsons never lived soul music’s truths, but he still gravitated to that strand of his native Georgia’s musical heritage. The album includes covers of two seminal vocalists, Aretha Franklin’s “Do Right Woman” and James Carr’s “Dark End of the Street.” Two songs cobbled together to finish the album put Parsons’ own stamp on soul’s secular gospel message: the love-spurned weeper “Burrito #1” and the more raucous “Burrito #2.” Both rank among his strongest in-studio vocal performances and blow away everything by the latter-day Byrds or on future Flying Burrito Brothers releases. The Flying Burrito Brothers’ two main members, Parsons and Hillman, deserve credit as forerunners to numerous alternatives to mainstream country music, from The Blasters and Uncle Tupelo to current Americana acts. Parsons was the original trust fund garage rocker who fortunately spent his money on something cool and lasting, while Hillman was a musician’s musician: frequently namedropped by Dwight Yoakam, Marty Stuart and other avid students of the Byrds and Burritos. There’s no better way to grasp both men’s appeal than pressing play and getting lost in an album that deserves a 50th anniversary victory lap for being Sweetheart of the Rodeo’s more eclectic companion piece.